Authors, Kai Strand & LA Dragoni: What Would You Do With $1,000? 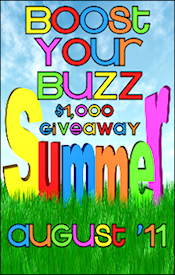 I am a new follower from the Boost Your Blog giveaway. Visit my daughter and I at our blog, Says Me Says Mom (http://saysmesaysmom.blogspot.com) where we talk about anything and everything. Write On Con Live Chats WERE AMAZING!! !